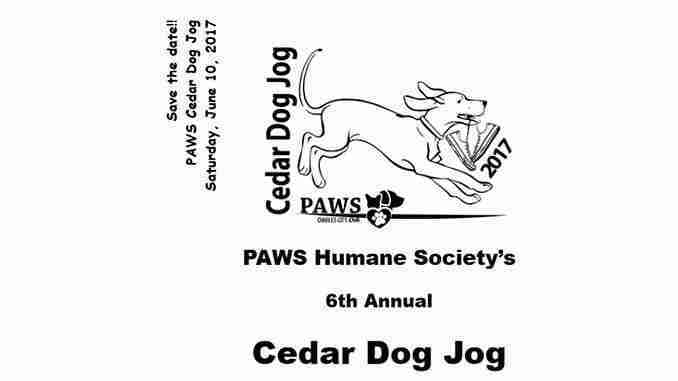 Charles City, Iowa – Dogs and their handlers are invited to the PAWS Dog Jog which will be held Saturday June 10th near the Cedar River but you better act this week before the price goes up. That’s PAWS Humane Society director Julie Taylor who says the price will go up by 5 bucks. Forms are available at several locations in Charles City. For more information or to fill out the online registration, go to their website.